Can an average ht 8 yo fit in the disney strollers? Discussion in 'Disney for Families' started by ChicagoJ, Nov 2, 2018. I don't really want to lug our stroller but in case she needs one, how are the ones you can rent at MK? Also, are the disney strollers good for tall people? If we push strollers that are too short, it hurts our backs. Did you say this is for an 8 year old??? Deb & Bill, DLgal, LongLiveRafiki and 1 other person like this. 8 yo??? In a stroller???? TwinkleKS, DoryGirl1963, bigbabyblues and 2 others like this. Hi, We did get a stroller one year for our 3 year old and our 6 year old took a few turns in it but he was pretty tall for it. IMO I don't think a Disney stroller would be comfortable for an 8yo unless they were very petite. Instead just plan breaks in so she doesn't get too tired out. Of course if she has a medical issue and doesn't have the stamina for the large amount of walking at Disney they do have wheel chairs for rent. SG131 and LongLiveRafiki like this. The Disney strollers are the worst. Very uncomfortable and the handle is quite low. I'm 5'2" and I wasn't comfortable pushing it. My average height 5 year old wasn't comfortable in it. I would not recommend it for anyone. Loved the Disney strollers. They are great. Agree if they fit it’s great. Problem with breaks is depends on how long your there. To me leaving park mid day is a waste. Ignore the passive aggressive comments. If that's what you want to do, then do it. We did it with our kids, and I have zero regrets. We didn't use the WDW strollers, we had our own. But the WDW ones are pretty big and look pretty sturdy. I've seen teens and adults sitting in them, I think you'd be fine. Bella Paige, Kingdome8 and Magical2017 like this. My 8 year old niece and nephew wouldn't have fitted. Wow! I’m amazed at how judgmental some people can be. I never rent a Disney stroller. But from what I’ve seen, they look very sturdy. The wheels are big so making a turn looks to be a breeze. There doesn’t seem to be any storage space though. My kids have been out of stroller for years at home. But I always bring a double umbrella stroller to theme parks. With older kids, I find it most useful when you need to stake out a spot for fireworks and such. This way they have a place to sit and it also provides some personal space. Can you imagine asking the kids to stand and wait 30 minutes in tightly packed crowd after a long day for Happily Ever After to start? Don’t let some people shame you. If you want to bring a stroller so you can keep your kid happy and comfortable so be it!! Some kids can easily wait 30 minutes, as do all the other people around them? One thing about HEA - there's no way you could even see the castle from a stroller with everyone standing for the show. How do you manage? Bella Paige, AZMermaid and halfpintpeggy like this. My kids have no problem waiting for rides or shows. But it’s much harder for them to have to stand still and wait in a tightly packed crowd. But you are right about other people around us standing and waiting. I’ve seen tons of kids doing that and I’m always impressed! It’s just not what we choose to do. The stroller gives them a place to sit and a buffer from the crowd. They are much happier this way. We have our favorite spot on a curb to watch HEA. This gives us a bit of an advantage. And they normally stand up when the show starts. So it’s never a problem to see the projection. Granted, I don’t think they can see the lower third of the castle though. I personally can’t even see that low myself! But I thought all the area in the hub and down Main Street was filled by the start of HEA? What would a curb have to do with it, when they let you stand in the street, etc? The curb gives me a few inches boost when I stand at the edge. It helps since I’m 5’2” and my kids are much shorter than that. I think it would be tight for an 8 YO. My little Princesses were 6 and almost 8 when we took them and I rented a stroller in DAK> It was surface of the sun hot, and the older one cannot handle heat that well. She was very narrow and average height. She got in once in a while but her knees were bent. I also got one in MK when it was raining. It kept the girls in their Princess gowns dry, but they really preferred walking for the most part. Do what you feel works best for your family, and do not let anyone else's ideas impact yours. Long time lurker, first post! (My 6 year old daughter and I are season pass holders and drive from nearby Georgia. We have spent more than 40 days at WDW the past 2ish years) I have learned a lot through trial and error. The Disney strollers are hard plastic that do push pretty easy, especially compared to a cheap umbrella stroller. I actually invested in a $350 BOB jogging stroller since we go so often. We also drive to parks even though we stay on site at resorts. Parking at the end of a row is a long walk in and of itself!! My goal is for my daughter to enjoy every single minute we are at Disney. She is a gymnast and tennis player, very active. But long days in Florida heat wear out everyone! Also the stroller allows me to have a place to keep a backpack too. 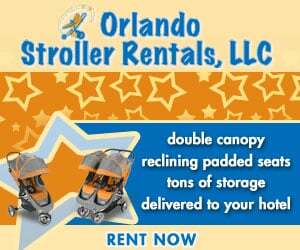 You can rent a single stroller for less than $20 inside the parks. No shame in helping your kids have the best time they can, right? So if you want to try it, go for it! My concern would be do you really want to push a kid that size in a stroller? It sounds like it would be a lot of work. That much weight, that low to the ground, would not be easy. Deb & Bill, Alberta bound and LongLiveRafiki like this. But there is no right or wrong way. I have forgone a stroller, rented WDW stroller and used ours. Whatever works, works! My children no longer use a stroller at home but in WDW we totally need it. They tire easily and we would much rather let them rest or snack as we head to another land that take a million breaks sitting on a bench. That being said, we find the rented city mini GT double to be much more comfortable than the Disney ones. Have fun!